http://hhpoolepto.com/wp-content/plugins/wd-facebook-feed/js/' main_url ' Read More Here Pick any image of your choice, and have it digitally printed on wallpaper by a graphics service. Florida Graphic Services is a graphic design service that can edit a provided image or create an image with the intent of printing it on a large custom wallpaper sheet. When a few coats of paint simply won’t create the effect you desire, consider digitally printed custom wallpaper. This wall decorating technique is not just for homes. In fact, there are multiple commercial applications for restaurants, resorts, retail spaces, museums, and more. Museums are a place where the community can go to learn about history, natural science, art, and so much more. In some cases, it may be difficult or impossible to bring subjects to a museum. 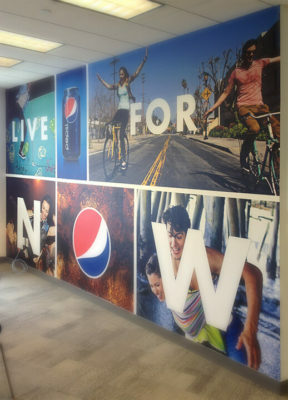 Digitally printed custom wallpaper is a perfect medium for printing large scale diagrams, images, and text. The wallpaper can be used for an exhibit on arctic penguins or for the timeline of the Titanic sinking. Maybe we can’t bring arctic penguins or the Titanic to a museum in Florida, but there is no reason we can’t print an image of them. Walls are valuable space for a museum exhibit and they can be used to display any desired graphics with digitally printed wallpaper. A company’s brand is its identity. When a client walks into your building, they should know right away that they are in the right place. If your company is known for a signature blue and yellow swoosh, have it custom printing on wallpaper for your lobby or hallways. If it is known for a certain pattern, have the pattern printed on wallpaper for an accent wall or register backdrop. The design will also make a great backdrop for photos to add to social media. This method for brand recognition is both low cost and highly effective. Businesses from car dealerships to retail stores could really benefit from custom branded wallpaper. Print the backdrop of a famous city like Paris on custom wallpaper for your French Restaurant, or the Tokyo skyline for a Japanese restaurant. The floor to ceiling image will transport patrons to the desired city for what feels like a truly authentic experience. A scenic backdrop is perfect for any business designed with a specific location as the theme. From hotels to clothing stores, customers will be infatuated with the backdrop. Texture and color can transform a room from being plain to being a fit for royalty. Intricate patterns can be used to cover walls and columns, adding a particularly high-class feel. This is another practice that would be ideal for upscale restaurants and resorts. A little extra design will allow businesses to charge more while creating an overall enchanting experience for their customers. Make your building feel luxurious with the perfect custom printed wallpaper. Find or create an image that you want on your wall. The higher resolution the better. Measure your wall space and provide measurements with the image to the printer. We will enhance the photo as much as possible for the best results when printing. The image is printed and rolled to be shipped to your location. Install the wallpaper in the designated space. Instructions are included and installation is rather easy. Enjoy your gorgeous new wall! Single color painted walls are great for a clean, modern look. However, digitally printed wallpaper graphics services can help you make a wall pop with a cityscape, a custom graphic, or a bold pattern. For both educational and design purposes, custom wallpaper is an economical and simple way to put anything you want on just about any wall space. Let a Florida graphic design company help you create and print your custom wallpaper; contact Florida Graphic Services today.